We are excited about the 3rd Annual Swim Fest Luray and the 13th Annual Luray Triathlon. We are asking for volunteers for both events. Please read below for details. FREE RACE CREW T-SHIRT: All Volunteers will receive a free t-shirt. Only 24 days away, Swim Fest Luray will be on Saturday, June 16th. Luray Triathlon will be Saturday, August 18th – Sunday, August 19th. 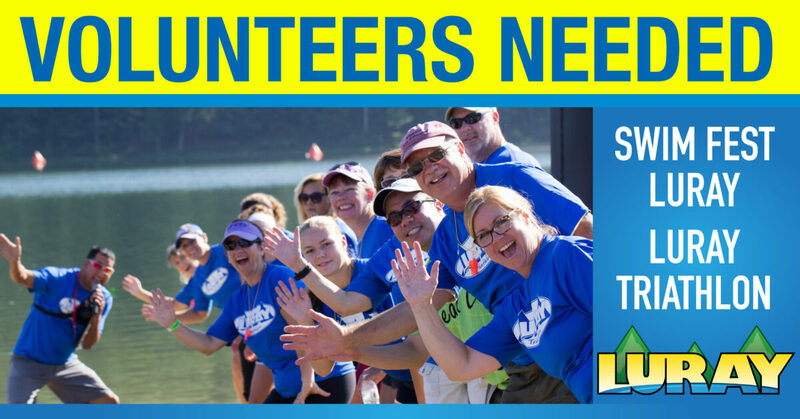 Volunteers are the heart of the Luray Triathlon. Without you, we could not do the race. We urge you to sign up right away so we can do our planning behind the scenes. Thank you for your volunteerism!